The tuxedo is one piece of outfit that will never go out of style, and no one knows it better than designer brand Alexander McQueen. 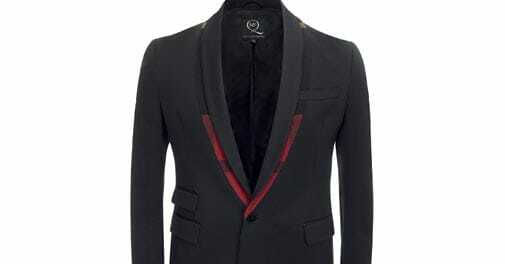 This tuxedo jacket with tartan underlay is available exclusively at The Collective stores in the country, and is exactly what you'll need to shine at all the year-end parties. 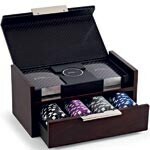 Made from walnut wood and carbon-fibre leather, Ralph Lauren's luxurious gift to the poker lover is truly a class apart. Inspired by James Bond, the poker set features polished nickel and powder coated game pieces and is an embodiment of sheer beauty and style. Here's something to proudly flaunt to your mates on those weekday poker nights. 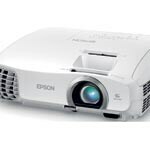 Epson has launched its new EH-TW5200 projector, which boasts of 1020p full HD projection with 3LCD technology and 480 hertz 3D drive, ensuring the brightest projection possible. 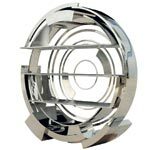 International furniture designer Michael Yeung's designs are known for being dramatic, and this vortex bookcase in shiny steel is no different. Part of a collection exclusively made for The Furniture Store, the bookcase will add a bold touch to your interiors while being useful at the same time. 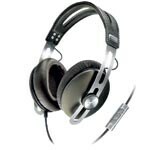 Electronics brand Sennheiser is known for its headphones, which make listening to music a quality experience. Their new range of Momentum headphones, in stainless steel and leather, are a step ahead in that direction. Combining substance with style, these assure a musical experience like no other. For the adventurous at heart, here's a timepiece that'll stand the test of time. 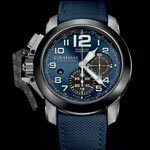 The new Chronofighter Oversize's start and stop lever is made of plain carbon material, and its black ceramic bezel gives the watch both strength and shine. Each watch is also endowed with a calculated telemeter scale. 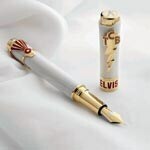 Marking its second century, Italian fine writing implements brand Montegrappa has brought out an exclusive range of Elvis Presley pens as part of its 'Icons' series. Four models in shades of aqua, green, black and white will represent four phases of Elvis' career from 1954 to 1977. The pens are engraved with profiles of Elvis at the microphone. 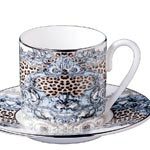 Ace designer Roberto Cavalli has designed an exclusive range of coffee cups for lifestyle brand Amara. The Roberto Cavalli Premium Palazzo Pitti coffee cups are made of bone china and bear the designer's signature stamp.